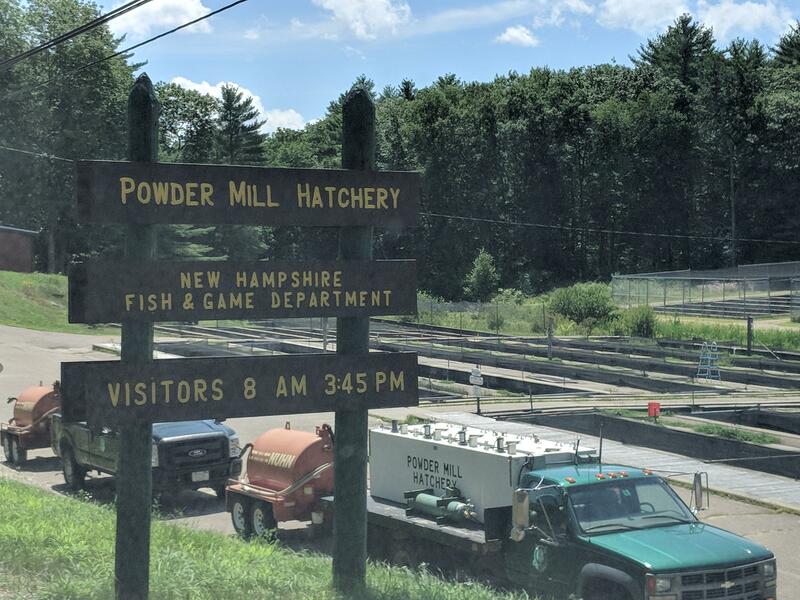 An environmental group is suing the state Fish & Game Department for alleged pollution from a Lakes Region fish hatchery. Meanwhile, the department’s executive director says they suit won’t affect their ongoing work to fix the problem. The Conservation Law Foundation notified the state this past summer that they planned to file the Clean Water Act suit on behalf of neighbors in New Durham. The suit alleges that the Powder Mill Hatchery, the state’s largest, is violating its federal permit for discharging nutrient-rich fish waste into the Merrymeeting River. The state insists it's in compliance with the permit. But that permit is years out of date and does not cover phosphorus discharge, which can cause cyanobacteria blooms. Fish & Game executive director Glenn Normandeau acknowledges that the hatchery and others like it around the state and country are affecting local water quality. He says officials are already working on updating and strengthening the New Durham facility's EPA permit. "Suit or no suit, we can't really get the EPA or anybody else, it appears, moving any faster than they're going now,” Normandeau says. He says they’ll try other methods to reduce the hatchery's impacts in the short term, and continue working on updating the hatchery's permit while the lawsuit moves forward. CLF argues that under the Clean Water Act, the new permit must be as protective of water quality as current technology allows. The state has 30 days to answer the group’s lawsuit. Meanwhile, officials hope to make progress on a new EPA permit by next February, so they can request funding for any necessary treatment infrastructure in next year’s state budget cycle. New Durham residents are frustrated by what they call slow progress in fixing pollution at the state’s largest fish hatchery. She’s been doing this, rain or shine, for 12 years. “I get a chance to look at the world and see what the lake looks like each day, which I really love,” she said. Editor's Note: We strongly recommend listening to this story.